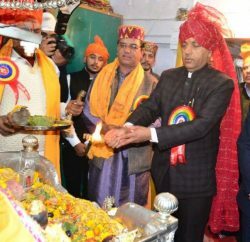 Himachal Lokhit Party president Maheshwar Singh fired a fresh salvo at former Health Minister Rajeev Bindal alleging that the state suffered a financial loss worth Rs 10 crore in purchase of ambulances for the Atal Swasthya Yojna from Madhya Pradesh. 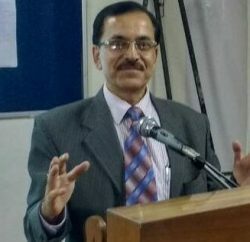 In a press communiqué at Mandi, Maheshwar alleged that the HLP and the third front would move the court as the Dhumal government was shielding the former Health Minister, who allegedly caused a loss of Rs 10 crore to the state exchequer in the purchase of ambulances from a Madhya Pradesh-based firm and the scheme smacked of a scam. The vehicles were purchased as utility vehicles and not as ambulances which gets tax exemption, he claimed and demanded a probe in the matter. He charged the present Dhumal government as the most corrupt and said there was no question of returning to the BJP as the third front had emerged as a political alternative against the BJP and the Congress in the state. Maheshwar was accompanied by CPM leader Bhupender Singh in the press conference and added that the third front would decide its candidates in advance and contest elections on all seats.